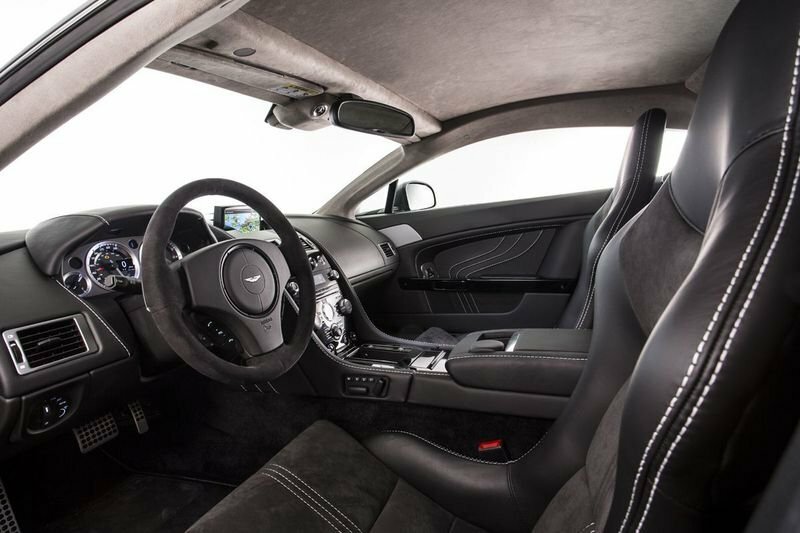 The Aston Martin Vantage V8 S is currently offered with a seven-speed Sportshift II gearbox - not the best thing if you are a true pilot and want to feel like you are in the control of the car. Things are going to change however, as now Aston Martin announced the V8 Vantage SP10 - a model inspired by the GT4 race car that races the VLN endurance championship at the Nürburgring. 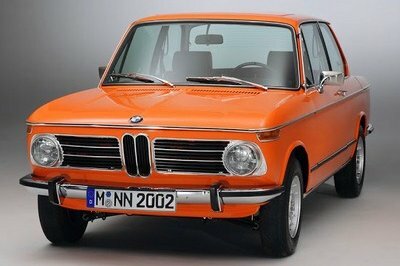 The car got its name from the SP10 class in the VLN series. The best part of this new version is that it offers a standard manual transmission - as a first for the S model - while the Sportshift transmission is only available as an option. We are pretty sure this news will make lots of people very happy. The new Aston Martin V8 Vantage SP10 will be offered in all European countries, except the U.K. 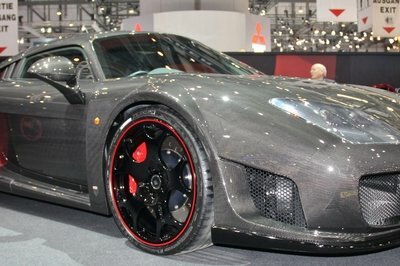 The model is priced at €96,635 (around $130,000 at the current exchange rates). 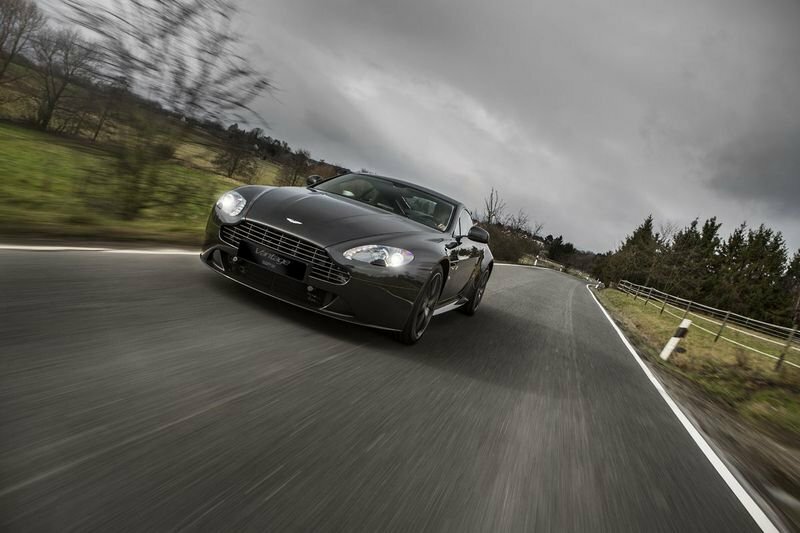 Hit the jump to read more about the 2013 Aston Martin V8 Vantage SP10. The new SP10 version will be offered in coupe and roadster versions, both of which wear a stunning Ceramic Grey Metallic exterior paint, combined with Titan Grey for the roadster’s soft top. The car’s exterior has been inspired by the world of motorsport and includes front splitter, a carbon rear diffuser and clear rear lamps. The car sits on a special set of 19-inch cast-alloy rims with V-shaped spokes in a diamond-turn finish and painted in high-gloss black. The calipers are also painted black to better match the new wheels. Just like the exterior, the interior is also dominated by black. The coupe version features a roof liner in Black Alcantara and gets all of its equipment from the Vantage S, which includes: seat and backrest covers and a sports steering wheel in Black Alcantara. The roadster features black leather seat and backrest covers, and a black leather steering wheel with silver stitching. For both models, the center console is offered in Piano Black, while the instrument panel is trimmed entirely with leather. Under the hood, the 4.7-liter V-8 engine delivers a total of 436 horsepower and 361 pound-feet of torque. It can sprint from 0 to 60 mph in 4.5 seconds and can hit a top speed of 189 mph. The engine delivers an incredible sound, thanks to a specially developed sports exhaust with active bypass valves. The engine is mated to a standard six-speed manual transmission - a first for the Vantage V8 S. As an option, customers can still get a Sportshift II automated-manual seven-speed transmission. The new Aston Martin V8 Vantage SP10 is priced at €96,635 (around $130,000 at the current exchange rates). It will be offered in all European countries, except U.K. 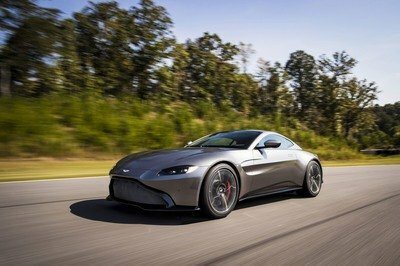 Thanks to the new manual gearbox, the new Vantage SP10 version will have no reason to fear when it comes to a little competition. 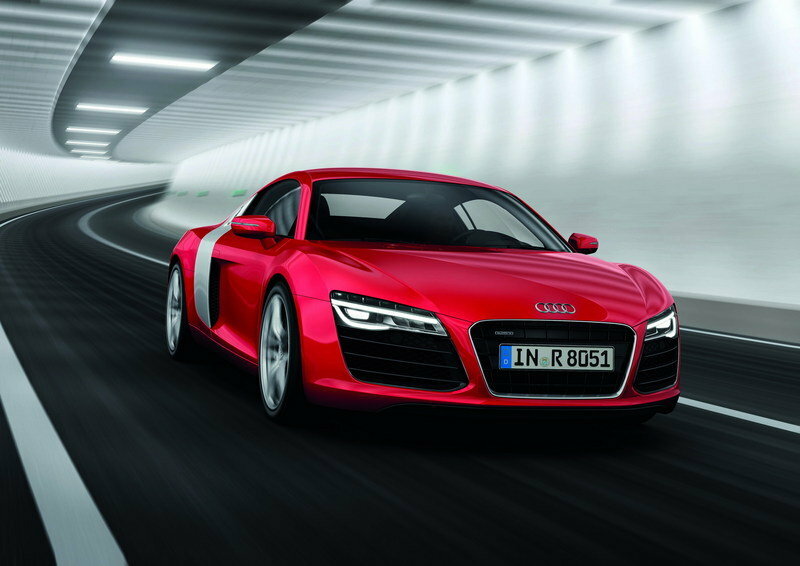 The Audi R8 is a very impressive car, which is farther proved by its laundry list of awards. To make it even better, Audi decided to offer it with both manual and seven-speed S tronic transmission. 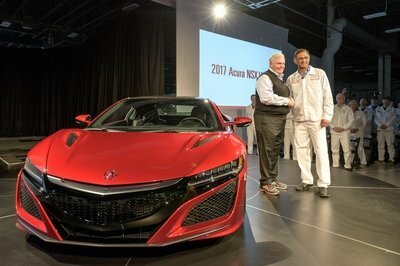 It is powered by a 4.2-liter FSI V-8 engine that delivers a total of 430 horsepower and 317 pound-feet of torque. Its power is a little less than the SP10, but the performance numbers are pretty much the same: it rockets from 0-60 in 4.4 seconds on its way up to a top track speed of 187 mph. A model that only offers an electro-actuated gearbox is the GranTurismo S, so we guess the new SP10 has a big advantage. 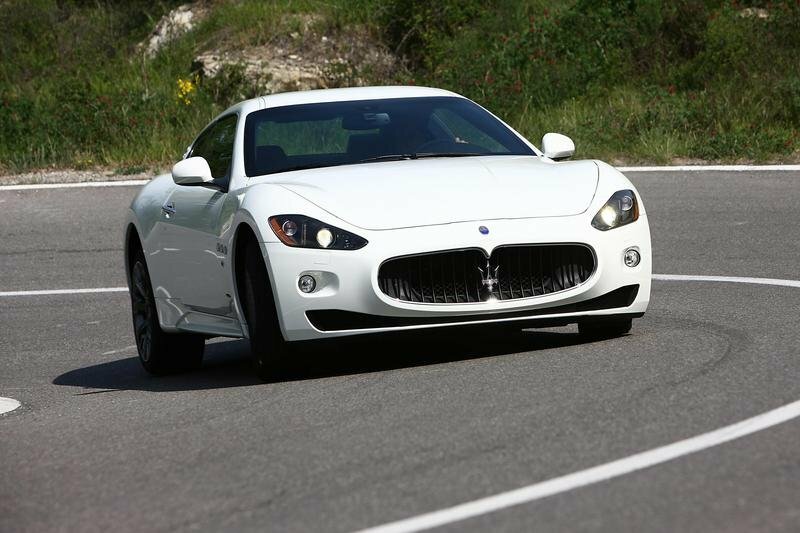 The Maserati model is powered by a 4.7-liter V-8 engine that delivers 440 horsepower, and despite being a little more powerful, the GranTurismo S is a little bit slower: 0 to 60 mph in 4.8 seconds and a top speed of 177 mph. The new Aston Martin V8 Vantage SP10 wants to bring the track experience to the road, and we think that with the new manual gearbox it pretty much succeeds in doing so. Additionally, there are plenty of drivers that like to row their own gears, so chances are that the SP10 will be a massive hit in a small niche of traditionalists. Too bad we won’t get it in the U.S. too! No SP10 for the U.S.
Aston Martin is launching a very special edition V8 Vantage S in Continental Europe that takes its inspiration from the brand’s numerous successes on the race track. Inspired by its successful motorsport activities in the GT4 racing series – particularly in the VLN endurance championship at the Nürburgring – the new car is a road model that has been engineered in the style of the luxury sports car maker’s GT4 racers. With 436 PS and a top speed of 305 km/h, Aston Martin has named the new special edition model Vantage SP10. The inspiration behind it is its namesake class SP10 in the VLN series, in which GT4 racing cars compete at the Nürburgring. The Vantage SP10 is offered in a bespoke specification that reflects its close affinity with the racing car. Jeffrey L. Scott, Managing Director of Aston Martin Lagonda of Europe: “Aston Martin has a long and successful tradition in motorsport. Since in the GT4 class the technical similarities between racing cars and their road model cousins are extremely pronounced, many of our customers see their own Aston Martin as a way to identify with our motorsport activities, or they actively participate as ‘gentlemen drivers’. Technically, the Vantage SP10 is almost identical to the V8 Vantage S but with the addition, for the first time, of a six-speed manual transmission. 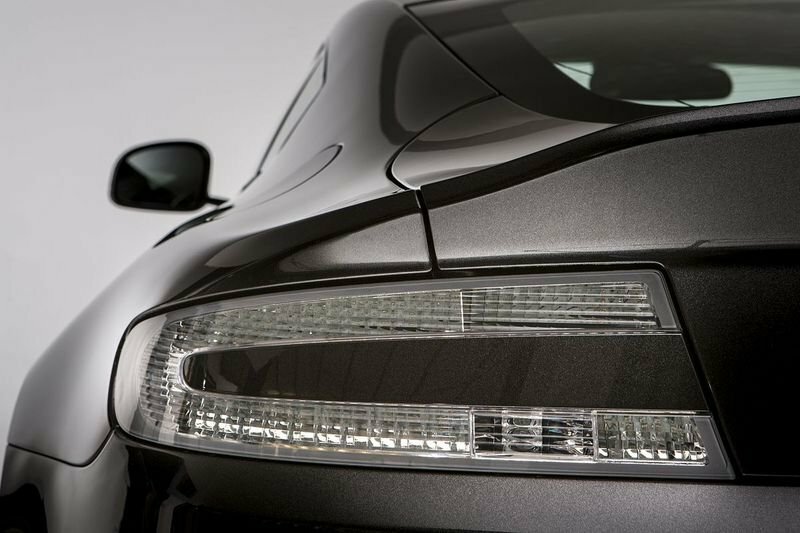 Since its market launch in 2011, the V8 Vantage S has developed into a popular model for Aston Martin customers, a model that places an even greater emphasis on sportiness. With its 4.7-litre V8 engine, which produces 436 PS and 490 Nm on the road, the V8 Vantage S manages 0-100 km/h in 4.5 seconds and reaches a top speed of 305 km/h. This sportiness is enhanced by its striking appearance, which took inspiration from the V12 Vantage, and the sensational sound from the engine, which comes thanks to the sports exhaust with active bypass valves which was specifically developed for this model. The Vantage SP10 is the first V8 Vantage S to feature a six-speed manual transmission. This manual gearbox is offered as standard and, as with the V8 Vantage, will impress those who enjoy pure sports car driving. Alternatively, customers can choose the optional Sportshift™ II automated manual seven-speed transmission that was developed for the introduction of the V8 Vantage S. This transmission allows for gear changes that are around 20% quicker than the previous transmission, which worked with six gears. This additional gear brings about shorter transmission ratios and optimum gear shifting. And the result: faster acceleration and a more sporty driving experience. With the V8 Vantage S, Aston Martin has further closed the gap between road cars and racing cars. Like its role model, the Vantage GT4 racing car, it has an extremely rigid aluminium chassis – the ideal platform for a racing car but also the perfect basis for a sporty road car. Impressive performance, dynamic driving characteristics and superb handling transform the V8 Vantage S, and thus the Vantage SP10, into a sports car that delivers a true ‘fun factor’ for enthusiast drivers of all kinds. The Vantage SP10 has a purposeful appearance that showcases its agility and performance and transfers the visual dynamics from motorsport to the road. Both the Coupé and the Roadster are available in Ceramic Grey Metallic. The convertible top of the Roadster is Titan Grey. Its 19-inch cast alloy rims with V-shaped spokes in a diamond turn finish and painted in high-gloss black, and the black brake callipers, emphasise the muscular look of the car. The special paint on the rims is offered exclusively for the special Vantage SP10 model. Other visual and functional details from the world of motorsport include the front splitter and the carbon rear diffuser – both come as part of the Vantage SP10 standard equipment, along with the clear rear lamps. Black is the dominant colour in the vehicle interior. Entirely in line with its motorsport pedigree, the Coupé features characteristic Vantage S seat and backrest covers and a sports steering wheel in Black Alcantara. The silver stitching offers a strong contrast. And the interior is rounded off by a roof liner in Black Alcantara. In contrast to the Coupé, the Roadster features black leather seat and backrest covers and a black leather steering wheel, also with silver stitching. Both versions are equipped with a centre console in Piano Black. The instrument panel is trimmed entirely with leather and embellished with silver stitching. Like the V8 Vantage S, the Vantage SP10 is more than just a distinctive sports model. Thanks to its features, it will prove itself to be outstanding in everyday use. Electrically operated seats, satellite navigation, cruise control and Bluetooth telephone preparation are just a few examples of the luxurious list of standard equipment that makes the Vantage SP10 a pleasant companion for everyday life. And with the 750W Premium Audio Sound System which is even part of the standard equipment in the Vantage SP10, music lovers can also make the most of this car. The high-fidelity sound can be enhanced further by choosing the 1000W Bang & Olufsen BeoSound Audio System as an optional extra. 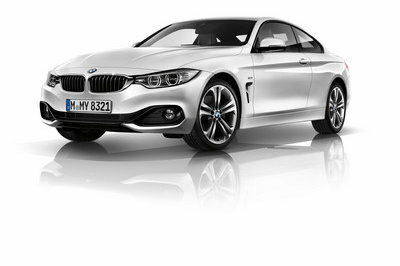 This and other additional equipment features, such as a reversing camera, sports suspension (on the Coupé only) or lightweight carbon seats, guarantee even higher levels of comfort and luxury. One particularly distinctive feature of this special model is a badge on the engine block that features the inscription “Aston Martin Vantage SP10” and which, of course, comes as standard. With the exclusive new Vantage SP10, Aston Martin is acknowledging these GT4 success stories in this, its centenary year. The special edition is available as a Coupé or Roadster and is exclusively available in Europe (excluding Great Britain). The base price for the Aston Martin Vantage SP10 is €96,635 (plus VAT and local charges). It can be ordered now at all Aston Martin dealerships in Europe. 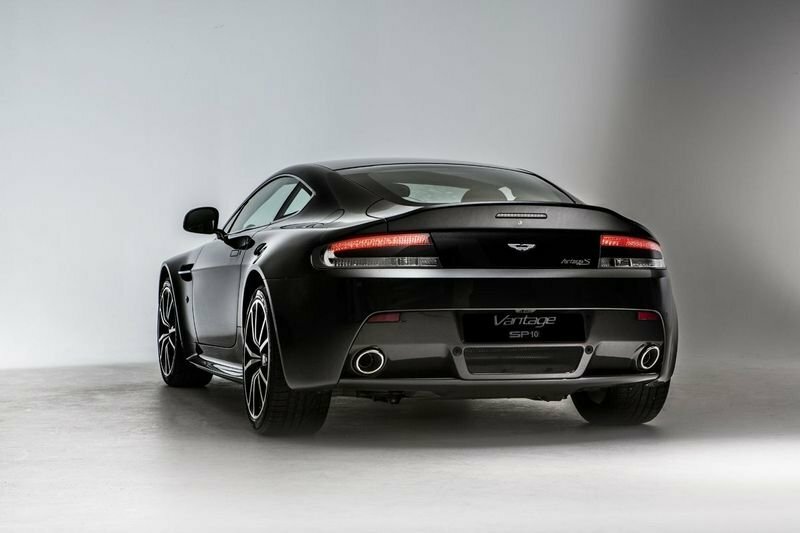 The Aston Martin Vantage V8 S looks very nice. The front design looks a little bit strange to me. It is nice that it gives the customers the option of having a standard manual transmission, which will make a lot of car owners happy with their cars.